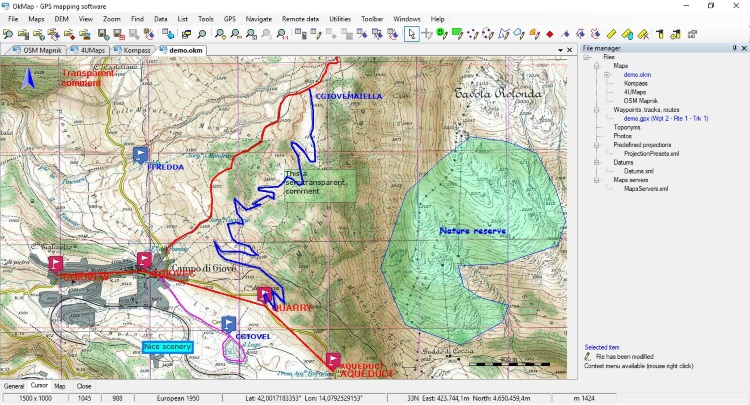 OkMap is an interactive software which allows you to work on your computer screen with web maps or digital mapsthat you have either bought or scanned. 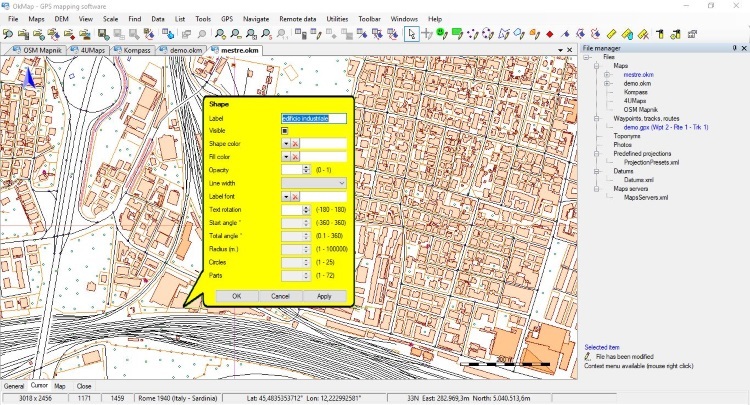 OkMap can also import vectorial data from the most common formats andDEM data relevant to height information. 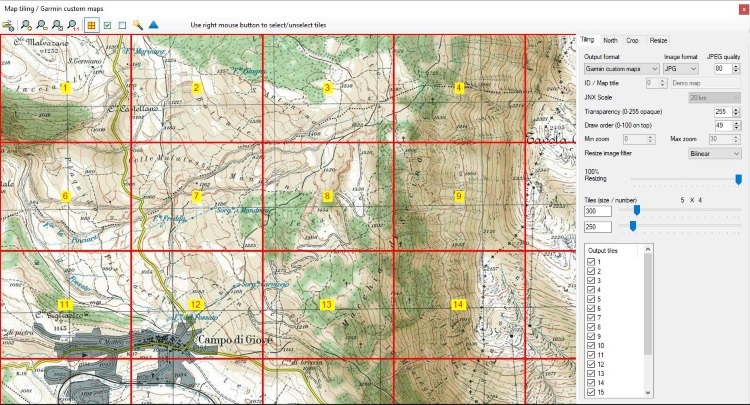 Through these maps, you can organize your paths by creating waypoints, routes and tracks on your computer monitor, and upload this data to your GPS. OkMap sets automatically altitude data and estimates travel times. Furthermore OkMap provides you also with autoroutingand geocoding functions. Data collected by your GPS can be downloaded on your computer, stored and displayed on the maps. They can also be used to create different types of statistics. By connecting a GPS to your laptop, you can plot your position on maps in real-time. If you are connected to the network you can constantly send your position to a remote computer, or receive the position of your companions on your computer and display the related tracks on maps in real time. OkMap can also interface Google Maps and Google Earth. With Google Maps you can view maps and data of your interest. With Google Earth you can view your paths and your maps in 3D also.